Ice has played a prominent role in the history of the earth and its living communities for millennia. We have had fun with and on ice, battled over ice, imagined ice, struggled with ice and made money out of ice. It has transformed our relationship with food, and our engagement with ice has been captured in art, literature, popular film and television, as well as made manifest in sport and leisure. Our lakes, mountains and coastlines have been indelibly shaped by the advance and retreat of ice and snow. Beyond Planet Earth, ice can be found in meteors, planets and moons, and scientists think that ice-rich asteroids played a pivotal role in bringing water to Earth. 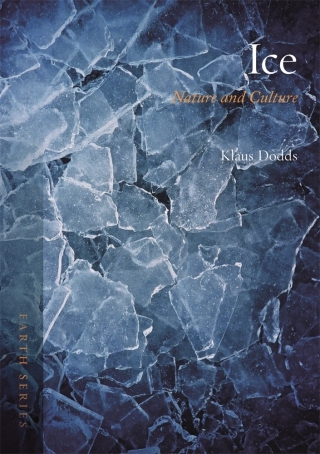 In Ice: Nature and Culture Klaus Dodds provides a wide-ranging exploration of the cultural, natural and geopolitical history of ice, revealing how throughout history human communities have made sense of ice. For those who are intrigued about our relationship with ice, this book will provide an informative and thought-provoking guide. have evolved to express its complexity. Klaus Dodds is Professor of Geopolitics at Royal Holloway University of London and a Fellow of the Academy of Social Sciences. His previous books include a co-authored volume, The Scramble for the Poles (2016).